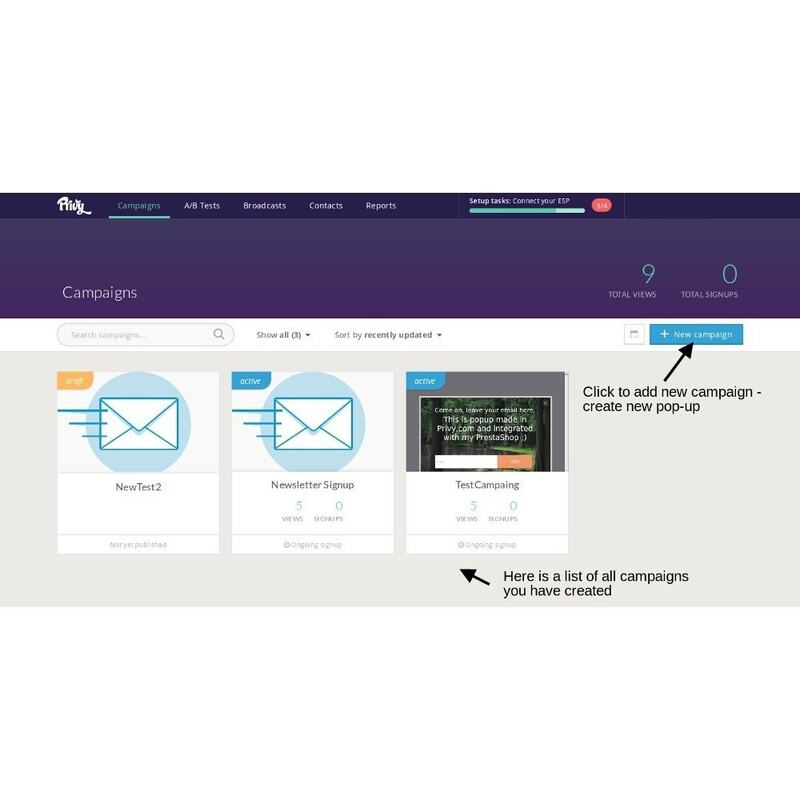 Rapidly grow your email list and sales with high quality pop-ups! 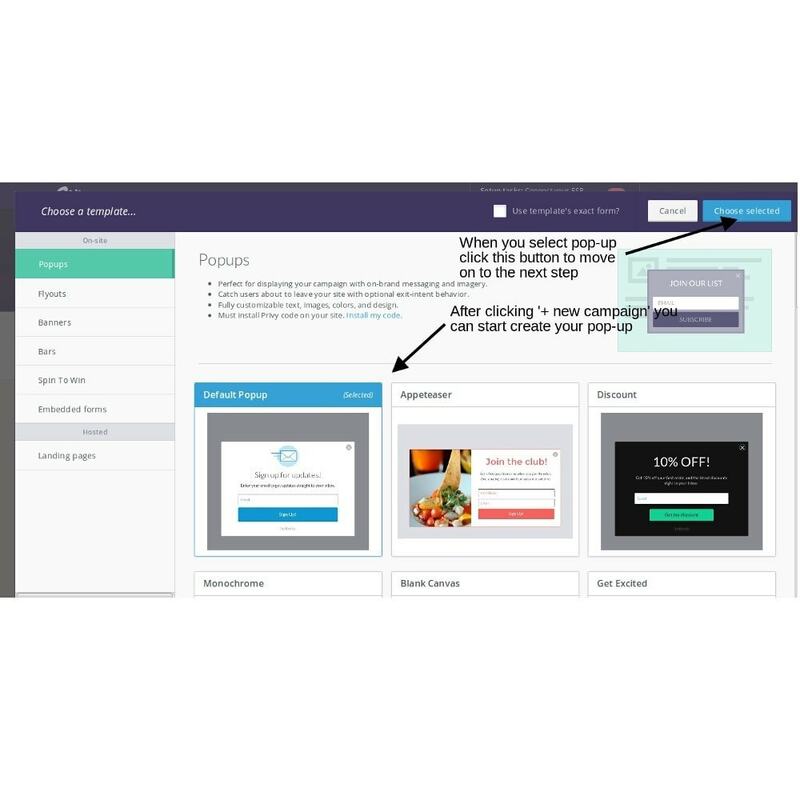 This module integrate your shop with Privy.com where you can create fully customizable pop-up without any coding or development skills. 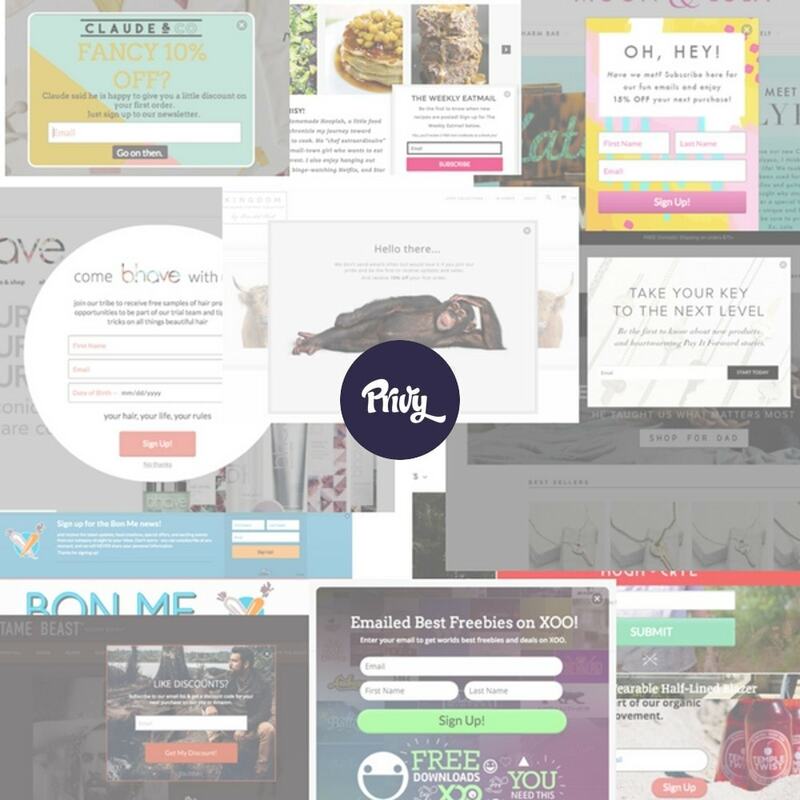 Privy's free suite of email capture tools. With Privy you can create your own beautiful pop-up. All without any coding or development skills needed! 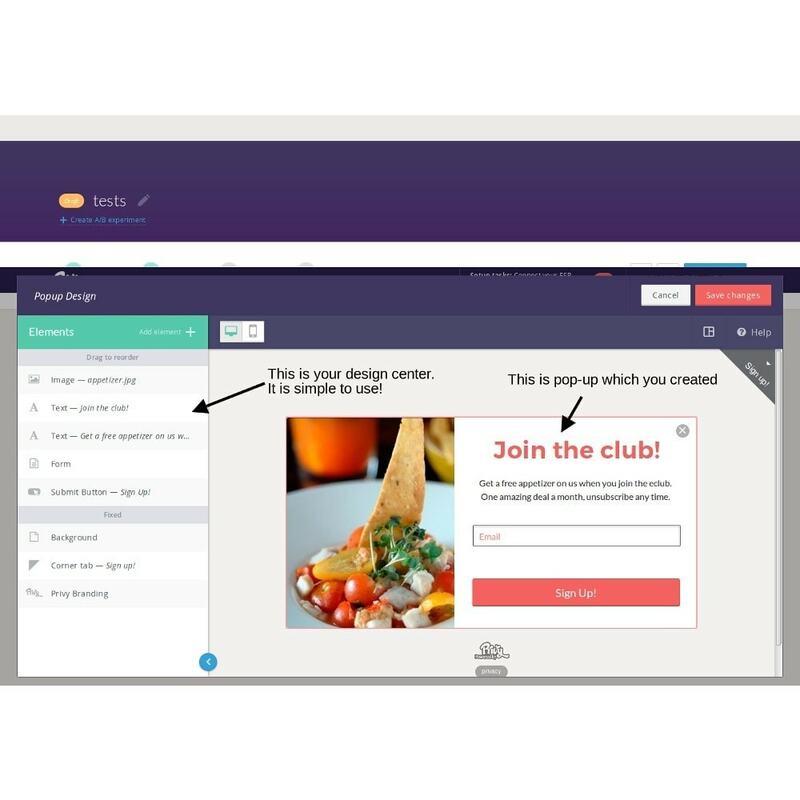 You can add to pop-up: banners, boxes, announcement bars, and embedded forms for email collection. 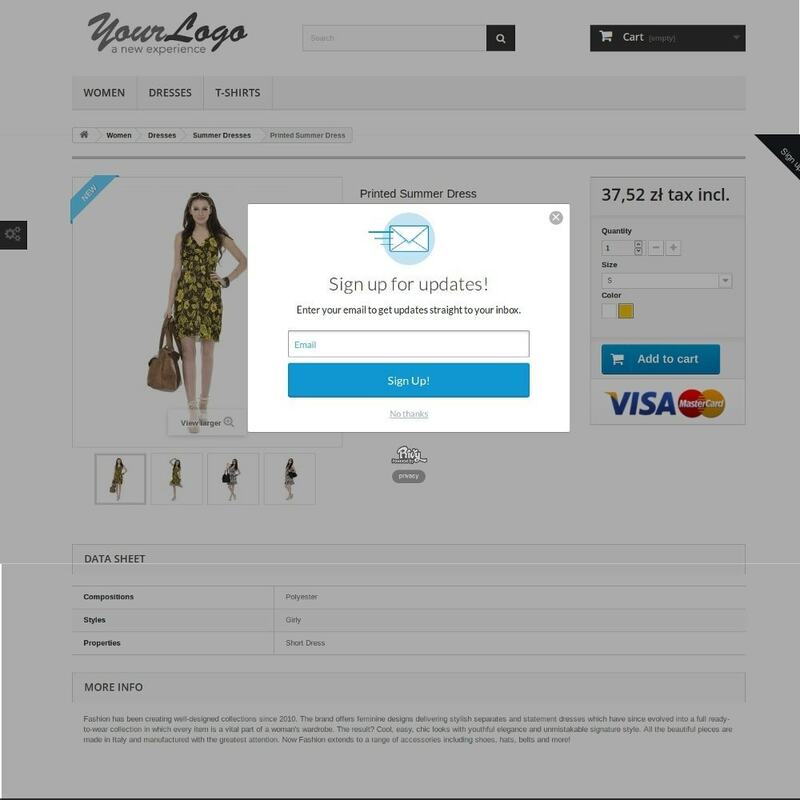 Trigger your pop-up using exit intent, time on site, cart size and more. You can integrate pop-up with coupon codes. You can set immediate email auto responding. This module also allows you to select on which pages (e.g. home page, product page...) popups will show up. Standard installation and easy configuration.